With a harp-shaped backrest and charming traditional details such as scroll arms and turned legs, this arm chair will be a stylish and comfortable addition to any dining room. Pair with the matching side chairs and table from this collection to create a delightful set for your dining room. 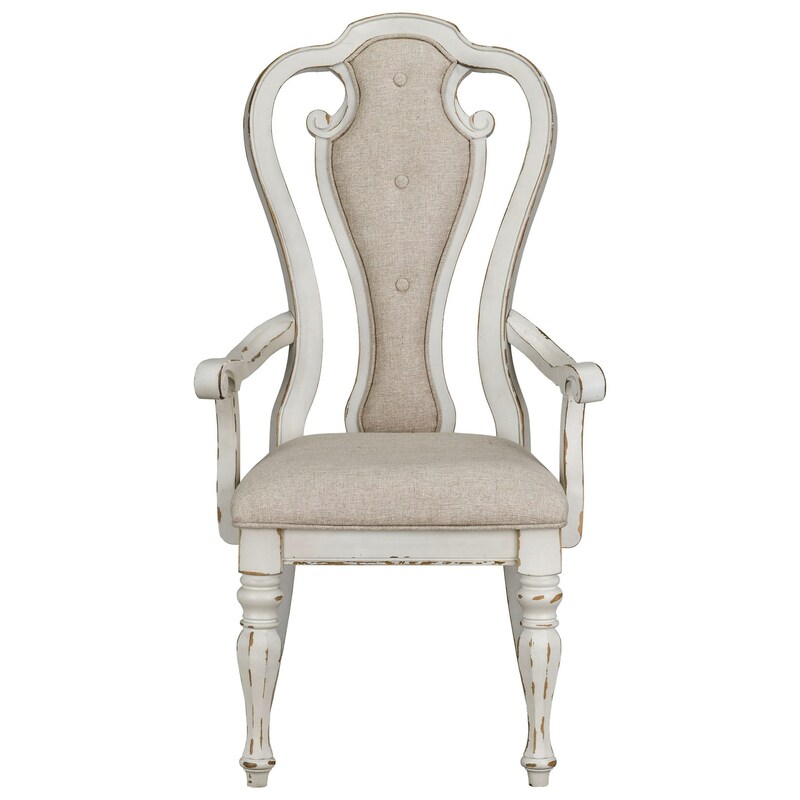 The Stevenson Manor Upholstered Dining Arm Chair by Standard Furniture at Miskelly Furniture in the Jackson, Pearl, Madison, Ridgeland, Flowood Mississippi area. Product availability may vary. Contact us for the most current availability on this product.